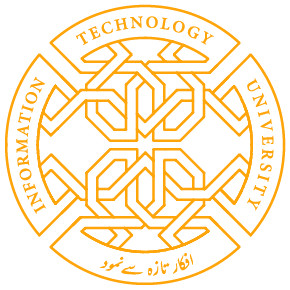 The Information Technology University (ITU) the Punjab’s Centre for Governance and Policy hosted the launch of acclaimed British historian Victoria Schofield book on Lord Wavell, the penultimate Viceroy of India here today. Discussing Wavell’s role In South Asia, Victoria Schofield mentioned that he knew the land well. “Before coming in as Viceroy he was Commander in Chief and much before that he had served in what is now Khyber Pakhtunkhawa. He even knew Urdu and Pashto,” said Schofield, noting that today few people make such effort before being posted to a new position. “Wavell did not want India divided, but also wanted the Muslims to have their fair share, something which Jinnah wanted all along” argued the author. In conversation with historian FS Aijazuddin she stated that Wavell is often forgotten both in the history of the Second World War and the partition and independence of Pakistan and India. “Wavell was the viceroy who really wanted an honorable settlement of the subcontinent,” said the author. “Wavell was a very smart student and his headmaster at Winchester wondered why he was going to the army,” said FS Aijazuddin, noting Wavell’s academic success and his earlier reluctance to join the army. Lord Wavell in fact wrote poetry, some of which got published and got good reviews. Share the post "ITU HOSTS LAUNCH OF BOOK ON LORD WAVELL BY BRITISH HISTORIAN"